NY Times Blames The Deficit On……..
With President Obama and Republican leaders calling for cutting the budget by trillions over the next 10 years, it is worth asking how we got here – from healthy surpluses at the end of the Clinton era, and the promise of future surpluses, to nine straight years of deficits, including the $1.3 trillion shortfall in 2010. The answer is largely the Bush-era tax cuts, war spending in Iraq and Afghanistan, and recessions. A few lessons can be drawn from the numbers. First, the Bush tax cuts have had a huge damaging effect. If all of them expired as scheduled at the end of 2012, future deficits would be cut by about half, to sustainable levels. Second, a healthy budget requires a healthy economy; recessions wreak havoc by reducing tax revenue. Government has to spur demand and create jobs in a deep downturn, even though doing so worsens the deficit in the short run. Third, spending cuts alone will not close the gap. The chronic revenue shortfalls from serial tax cuts are simply too deep to fill with spending cuts alone. Taxes have to go up. So, what lessons can we draw from the unhinged progressive moonbat NY Times position? First, they love tax increases, but refuse to pony up and pay more themselves. Second, they still think, after 10 years, that we are still cutting taxes, rather than dealing with the same rates. Third, they still do not understand that people tend to spend more when they are “allowed” by Big Daddy Government to keep more of their own money, meaning more revenues for the States, making them more solvent, and more people tend to work, meaning they pay income tax (obviously, this is a very simplistic look at the issue). Fourth, they’ll never cut anything except the military: they just want Other People to pay more taxes so they can spend more. In future decades, when rising health costs with an aging population hit the budget in full force, deficits are projected to be far deeper than they are now. Effective health care reform, and a willingness to pay more taxes, will be the biggest factors in controlling those deficits. So, Obamacare wasn’t “effective health care reform”? I’m shocked. I thought it was supposed to bend the curve downward and solve all our problems. 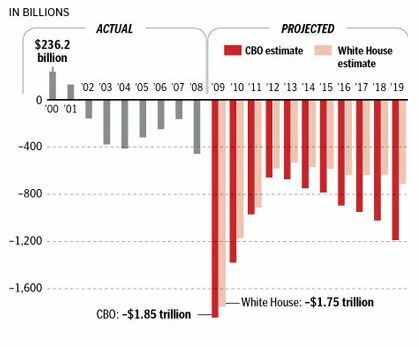 Anyhow, in Liberal World, nothing is the fault of the Democrats and Obama: just Bush and not taxing people enough. Notice that the writer, Teresa Trich, never once says that taxes should only go up on “the rich.” That’s because the left wants taxes to go up on everyone. Speaker Boehner is said to be ready to offer a new GOP plan. I implore him to include a measure that would create a two tiered tax system, where people can voluntarily pay the 2000 tax rates. Let’s see if Democrats put their money where their mouths are.